I've been catching up with a bit of neglected sewing today. 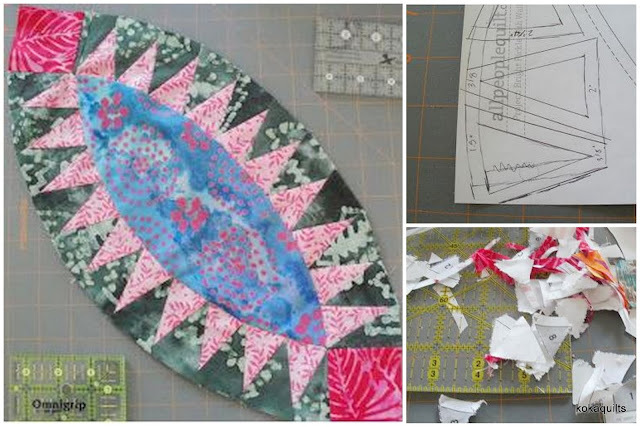 I'm sewing along with Bari + Melanie and making their Wild Bloom Quilt. It's a modern sampler with lots of lovely extra touches like collage, crochet lace and sashiko, giving it a little boho flair. For more details and all the quiltalong links pop over here at barijdesigns or here at southerncharmquilts. So today I finished off the 8 background blocks for the floral collage and made up 2x flying geese sections. 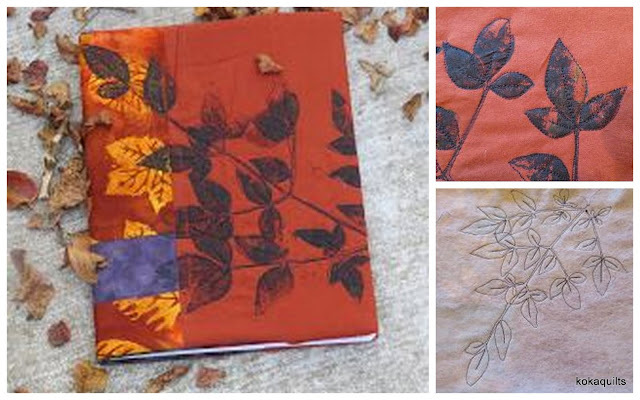 And this book Boho Embroidery from the library is full of little extra details that I think I could add too. Thank you so much for all the great comments in my last post about my 'floribunda' quilt. It's lovely to read all your thoughts and your +ve feedback is very encouraging. It's been another week of not too much sewing here. But, I did spot a very pretty sewalong happening here. Exploring some art textile with lots of fabric oppportunities & stitchery embellishments is a new direction for me, exciting, and seems like something that I could pick up now & then as time permits over summer. And, I knew that little bundle of low volume fabrics would come in handy. . . one day. I do love the look of a scrappy quilt and, just for a change, I'm going for more of an overall low volume scrappy effect. The idea really appeals to me just now. . . like all restful & pale, ethereal even, with a few 'pops' of bright. Wild Bloom Quilt is a modern sampler with lots of lovely extra touches like collage, crochet lace and sashiko, giving it a little boho flair. For more details and all the quiltalong links pop over here at barijdesigns or here at southerncharmquilts. 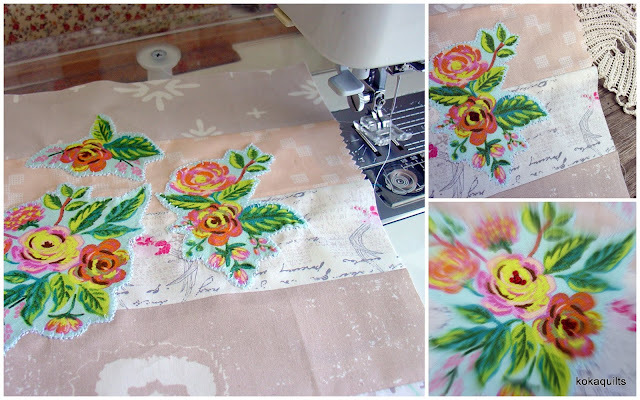 It's been a while since I last used the machine applique stitch. I had to dig the manual out, but I got there in the end. Loving this floral collage idea. I've added little clusters of french knots to the centre of the flowers, and I've ordered this book Boho Embroidery from the library to get more inspiration of other little extra details I could add too. and 'la fleur' block is done too . . .
Glen from quiltswissy had so many great things to share. Pop on over here to see heaps of Glen's other inspiring projects. Lovely fabrics from #apieceofcloth arrived this week. there should be enough to make a lovely vintage style quilt. Still undecided just what I will do with these fabrics, but they are certainly lovely to look at. And very different from anything that is available here in NZ. - time to finish up a few things first. and I had lots of fun playing with the value placements in each block. Has that 'end of year' feeling hit you yet? Do you feel the pressure to finish a project or two, or is it just me? 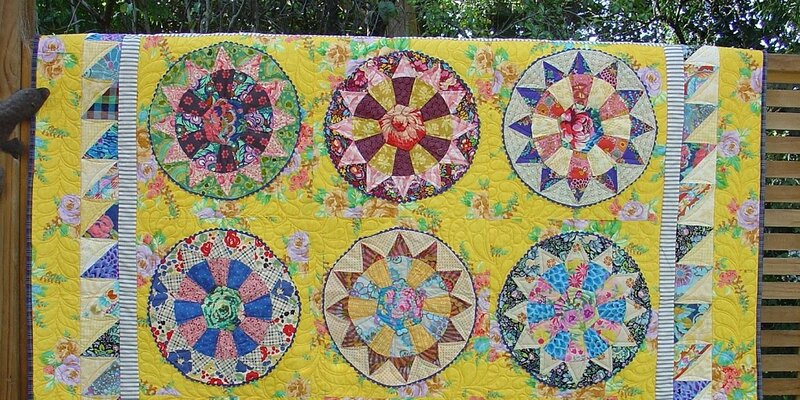 My not so pastel #vintagecomfort quilt has come back home from the quilters. - see here for my earlier pics & progress. 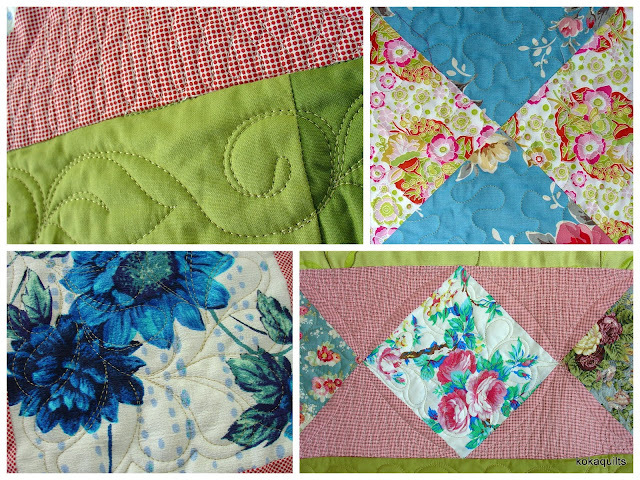 It's lightly quilted all over, as I love my quilts all soft & cuddly- perfect for snuggling under. I find a little hand quilting in the evening is a great way to unwind. Let's take a look at my favorite pick from last week. It's a fun scrappy block, but I know from experience, they do take a bit of time. If you are keen to give the pickle dish blocks a go too, see here for lots more inspiration. - pop over here to see what I mean! 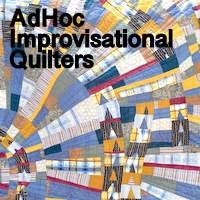 "Fabracadabra ( Fab-ruh-kuh-dab-ruh) Noun A mystical word or expression used when a fabric magically appears in your stash and you have no idea how it got there . . . or so he thinks!" First up, from the Tilda quilt collection 'botanical red' and 'sigrid dove white' . . .
like these Gertrude Made Essentials - large & small Checks in Black & White . . .
- a very pretty low volume selection, the perfect alternative to use instead of plain white . . .
which will be great for fussy cutting I'm sure? . . .